Jared Falk's story can actually be traced back to the old continent, Europe. His mom's mother emigrated to Canada from Germany way back in the day. Years later, his mother Iris would start a family with a Canadian native named Ken Falk, raising five children together � Joe, Jared, Josh, James, and Jenni. Jared Falk is the second oldest of the bunch, and was born on the third day of December of 1981 in Abbotsford, British Columbia, Canada. In his early years of life, Jared showed no interest in listening to music and no real appreciation for it. He preferred spending most of his time engulfed in hockey � playing roller hockey, watching hockey, and collecting hockey cards. His mother played a little bit of piano, while his father didn't really play anything at all. So, Jared eventually picked up his first instrument � the piano. This first experience of his with music would not last long, and when he was around 11 years old he stoped playing. In 1997, a 15 years old Jared Falk would resume his musical ambitions, only this time with something a little different from a piano. 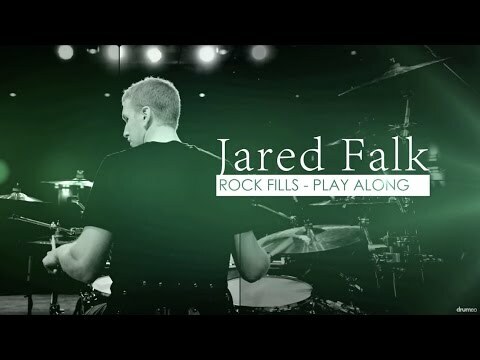 While attending high school at the "Mennonite Educational Institute", Jared Falk watched a member of the high school choir air drum to a rock song. It looked like so much fun that Jared instantly felt the desire to play drums. His parents were always extremely supportive of him and his siblings, so within three months of Jared telling them he wanted to play drums, they got him his first drum set. It was a late 60s four piece Pearl kit that his grandparents had bought used for his dad and aunt in the early 70s. 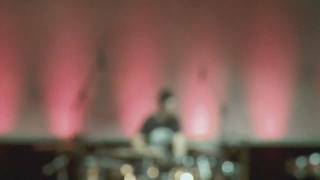 Jared recalls falling instantly in love the first day he sat down to play the kit. To further help Jared with his drumming, his parents decided on building him a practice shed with carpet half way up the walls to deaden the sound. Jared spent a huge amount of hours in that shed practicing his drumming, alone or with different bands. If getting Jared Falk a drum set and a practice space wasn't enough already, Iris and Ken put Jared in drum lessons immediately. He didn't have the natural ability to start playing by himself, so he needed some help from the get-go. His first teacher was a second cousin of his named Ron Janzen, who played for a relatively large Christian rock band called "The Doxa Band" that performed in Abbotsford on a weekly basis. Ron lived pretty close to Jared, so the lessons always took place in Jared's practice shed once a week. Jared Falk recalls Ron as being a great teacher with a very musical playing. This easy-going man wasn't a technically trained drummer, but enjoyed having fun with his teaching and was extremely encouraging. Jared was one of his only students, so the curriculum was all made up a little before the lesson's start time. 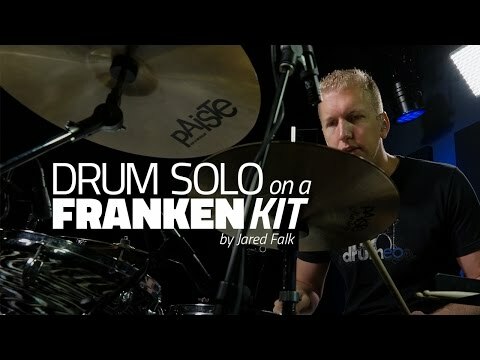 Ron taught Jared Falk how to read basic drum notation, how to come up with different grooves and fills, and helped him develop basic limb independence, something Jared struggled with a lot. 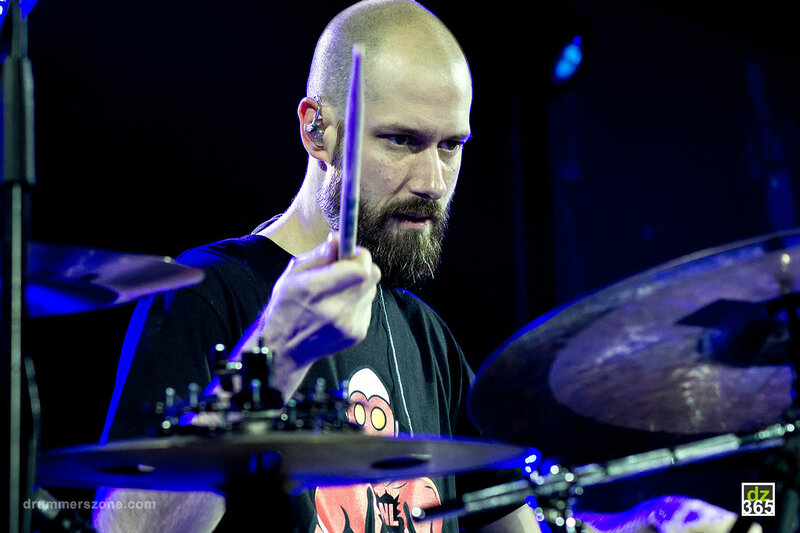 Jared also had another very typical "beginner drummer" issue � speeding up and slowing down. Advising Jared to have fun behind the drum set and to not take drumming too seriously is perceived by him as the best things Ron ever taught him. 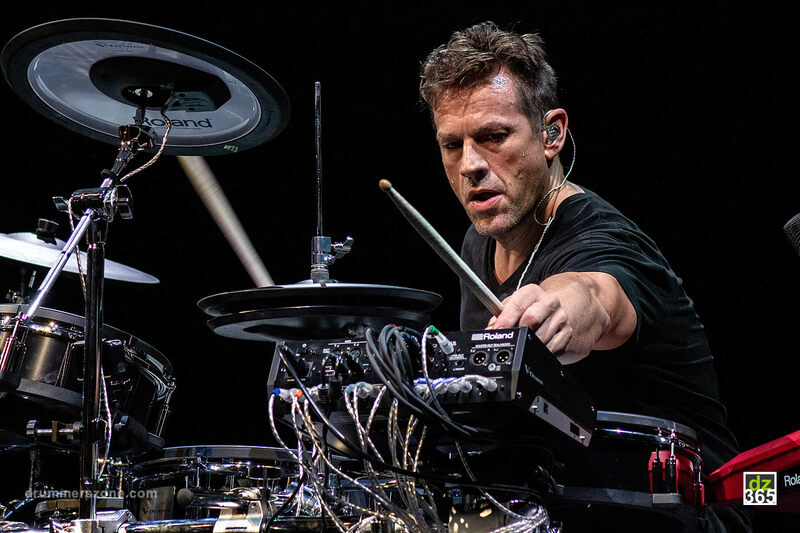 At the time, Jared loved playing along to "Collective Soul" tracks and practicing the beats and fills Ron would write out for him. He also made his way into the percussion section of his high school band, playing snare drum, bass drum, and cymbals. Later, Jared would also play in the high school jazz band. It was also around the time he started playing drums that Jared Falk began listening to a lot of music. Among the bands he used to listen to, "Our Lady Peace", "U2?, "Offspring", "Burning For Buddy", and "Dave Matthews Band" are the ones that stick out the most to him. His high school band teacher, Larry Nickel, was also instrumental in having him listen to lots of different styles of music. This helped Jared develop his ears to a point where he could appreciate listening to pretty much any style of music and band. After six months of learning how to play drums under Ron's guidance, Jared Falk decided to hook up with a new drum teacher, since he had already hit the ceiling with Ron. Brad Naylor, a high school teacher, was the man chosen for the job. Brad was a much more technical drummer, and took drumming a lot more seriously than Ron Janzen did. 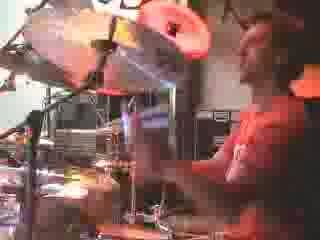 This was a great change of pace for Jared, since Brad gave him a much needed technical approach to drumming, and pushed him a little more than Ron. With these two drum teachers Jared Falk got to experience both ends of the spectrum, which ended up being great for his drumming. Jared's first gig was through the church he attended when he was 15. A couple of months after starting to play drums he joined the church praise team as the drummer, playing there every Sunday morning. 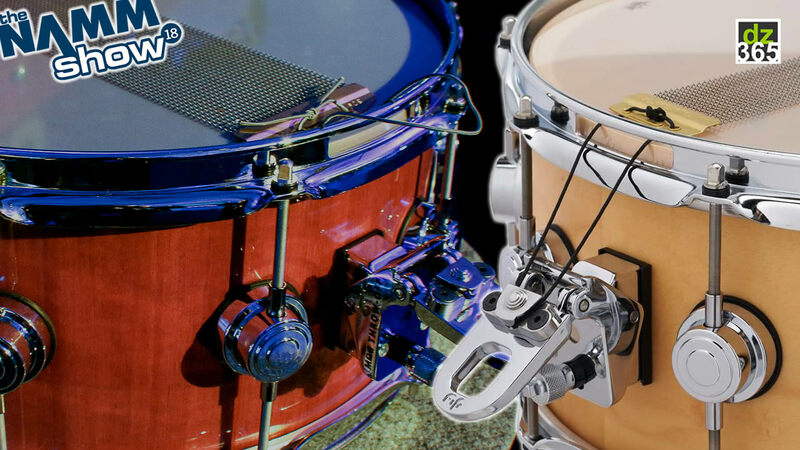 It was through this engagement of his that he got his first drum student � Jason Kliewer � which would later become the owner and operator of custom drum manufacturer Casey Drums. The year was 1998, Jason Kliewer was around 11 years old when his parents approached a 16 years old Jared Falk after church, asking him to teach Jason. Jared recalls Jason Kliewer as being a prodigy student. He learned things way fast, which ended up making Jared look like an amazing drum teacher. It was also around this time that Jared walked into his first drum clinic. 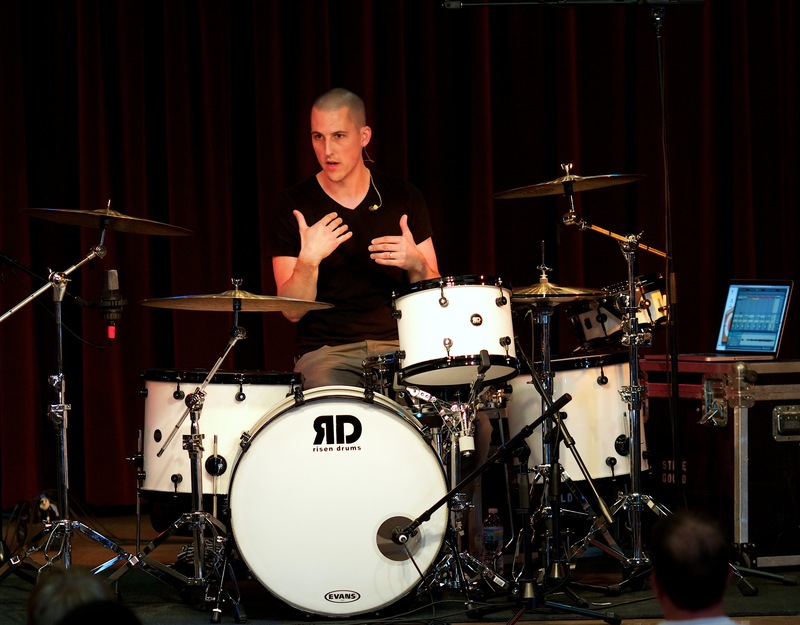 The workshop was hosted by Dave Weckl, and Brad Naylor was the one who took Jared to see it. Jared recalls that clinic as being a very inspiring moment for him. 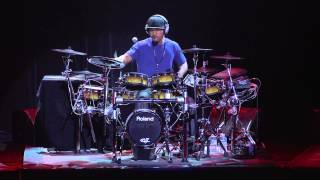 After this, Dave Weckl joined Carter Beauford as one of Jared's favorite drummers. Jared Falk got his first big break in the summer of that same year. 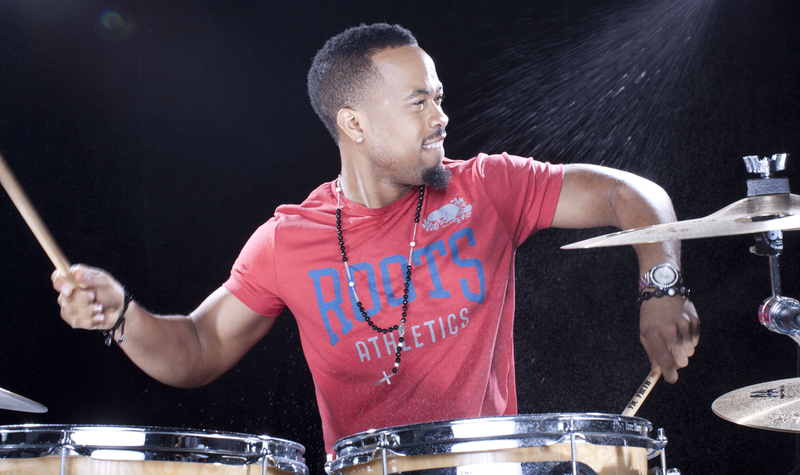 During his holidays on Osoyoos, British Columbia, he got a call from his first drum teacher's band � "The Doxa Band". They asked him if he could join the band for playing on a live event taking place at a stadium in his hometown of Abbotsford. The band had auditioned various drummers but ended up settling on Jared Falk, which Ron Janzen had recommended beforehand. Jared accepted the invitation and caught an early ride home to get prepared for the gig. He only had one practice session with the band before the show. This was a really big opportunity for Jared Falk. Jared Falk recalls seeing a sea of around 4000 to 5000 people when he walked out on stage to play the gig. He was extremely nervous, so he actually can't recall how the rest of the show went. He thinks he was able to make it through without any huge mistakes, since he became the permanent drummer for the band afterwards. This opportunity motivated Jared to keep improving his drumming. The musicians he was playing with where so much better than him that he felt the need to keep working really hard on his drumming, so he could catch up with them. It was also around this time that Jared Falk got acquainted with Nate Bosch, a pianist who would play with "The Doxa Band" from time to time. 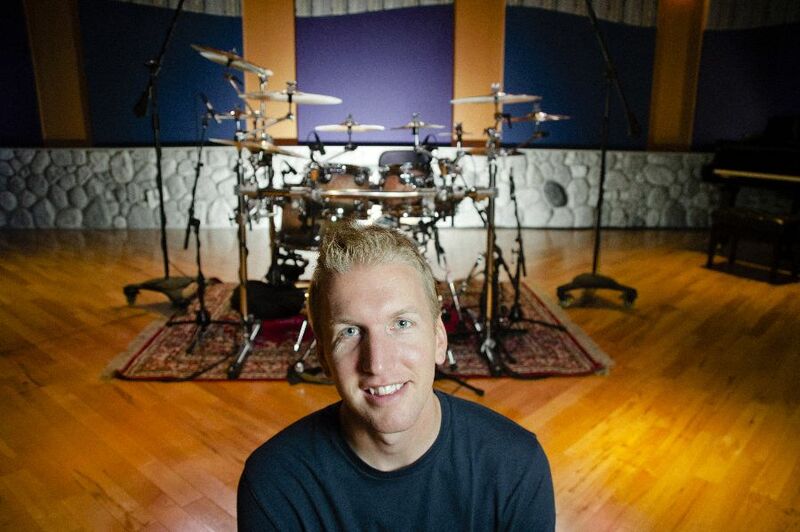 This thirst for improvement drove Jared on a search for a new drum teacher. For the following years he would take lessons from Chris Macalpine and Eran Vooys. He stayed with Chris for a couple months, and learned about how to play along to songs. This helped with the development of Jared's ears on the drums. Eran Vooys was in the same high school as Jared, but a couple of grades ahead of him. 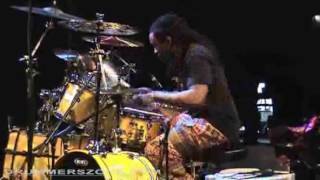 Vooys is one of those drummers that has this amazing natural feel on the drums. Jared used to watch him play with the high school jazz band and in Chapel sessions. Unfortunately for Jared, he wasn't able to have as much lessons as he wanted to with Eran, due to incompatibilities with their schedules. In 1999, Jared Falk decided to give piano another shot. This time around, to learn how to play it by ear. He really wanted to have the ability to just sit down and play without using any sheet music, and so he did. 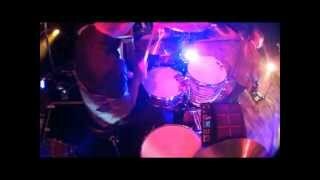 The next year, Jared Falk graduated from high school and Lionel Duperron entered his life as his new drum teacher. He completely renewed Jared Falk as a drummer. Lionel gave Jared's drumming some much needed guidance, since at that point Jared didn't know where to go with it. Lionel taught Jared a lot of jazz independence, new Latin grooves, the motions, proper grip, finger technique, and how to build his practice sessions. He really helped Jared Falk practice the right things for whatever musical situation he was going to be in. 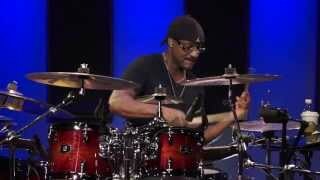 Jared sees in Lionel an amazing drummer but an even better teacher. 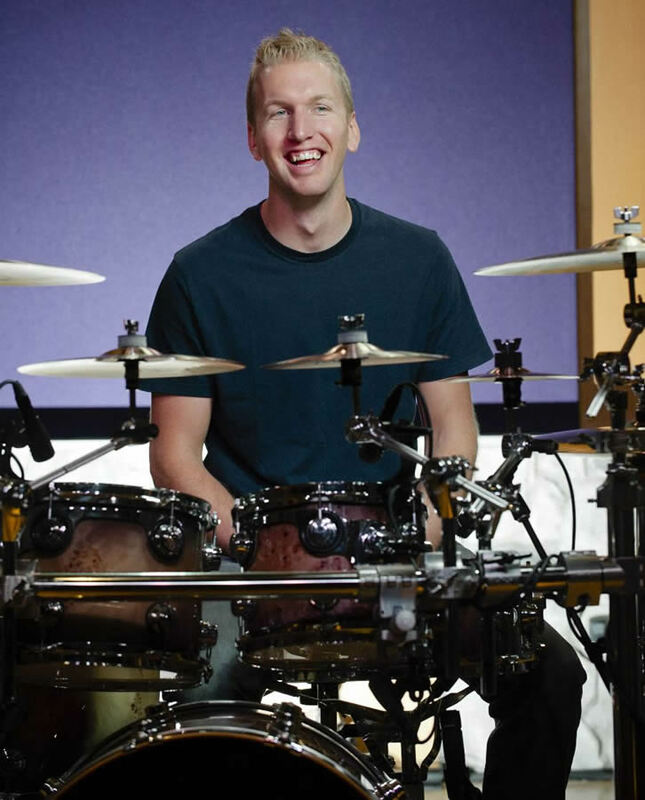 In 2001, Jared Falk took some lessons with a drum teacher recommended to him by Jason Kliewer. This teacher was none other than Mike Michalkow. Jared Falk learned some cool independence exercises and Latin grooves from him. Mike also worked on improving Jared's speed around the drum set and overall technique. In 2002, and after "The Doxa Band" entered on an indefinite hiatus for the second time (the first one was in the summer of 1999), Jared Falk got introduced to Riley Armstrong, a contemporary christian singer-songwriter from the hamlet of Dapp, Alberta, Canada. Jared, alongside some friends of his � Rick Enns (bass guitar) and Dan Kim (guitar) � who actually played for "The Doxa Band" up until its first hiatus, presented themselves to Riley as a band for hire. Riley Armstrong end up hiring them for a tour as backing musicians. With Riley, Jared got to travel all over the United States, spending lots of time in Nashville and California. This was an amazing experience that ended fairly soon. Jared Falk loved to play live, but hated all the in between stuff. He couldn't stand driving around in a van for hours upon hours on end. He also had a serious relationship with a girl back in Abbotsford. So after four months of touring he quit. He returned home and started working at "Fraser Valley Duck & Goose", his parent's duck farm. His work consisted on selling fresh ducks to the barbeque shops in China Town, Vancouver. Around this time, Lionel Duperron started cutting back on the amount of students he would take on a weekly basis, so he could spend more time with his family. He graciously passed along some of his students for Jared to continue instructing. Jared Falk's student base continued to grow and grow until he maxed out at forty students. At that point, teaching drums wasn't a full time job for him. 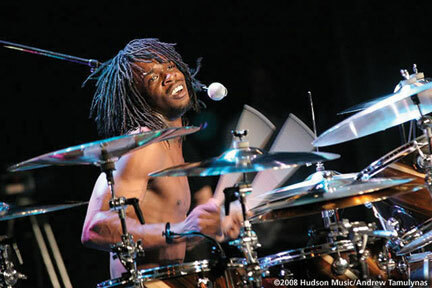 So he kept working with his parents while tutoring drum students on his spare time. In 2003 "The Doxa Band" returned for its final run. Jared Falk was once again the drummer of choice and played for them until the band stopped playing for good in 2004. In that same year Jared found a new group to play with. The band was formed in 1998 by Todd Wickens and Nate Bosch and was called "Blue Rain". In early 2005 a man by the name of Rick Kettner requested some private lessons with Jared Falk. 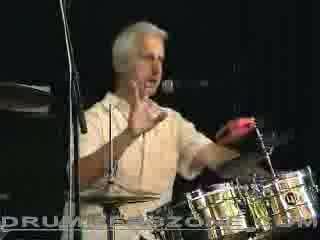 Rick went to Jared to study bass drum techniques in-depth. During their first session Rick demoed his "heel toe" technique to Jared, which he could play quite effortlessly. At the time, Rick was part of the "PearlDrummers" forum. He had posted an instructional video on the "heel toe" technique on that forum, which he had filmed. This post of his was made before "YouTube" was any big, so online video was huge. The video got thousands of downloads, before Rick had to take it down due to the huge bandwidth costs from so many people downloading it at one time. It was at that time that Rick Kettner and Jared Falk decided to partner up and film more lessons. Jared Falk and Rick Kettner were both single guys at the time, so they would spend all their extra time filming lessons in Jared's shed and learning about online marketing. 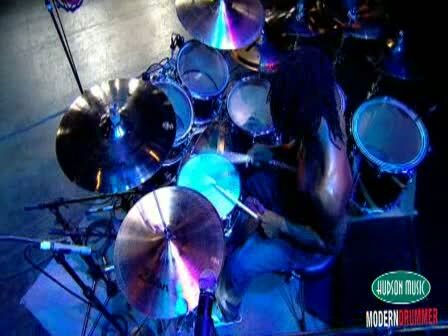 The websites where they started selling their own downloadable videos were "BreakSticks.com" and "DrumTechinques.com. They eventually moved on to DVD sales only, as the market wasn't really ready for downloadable lessons yet. Their first product was the single disc "One Handed Drum Roll". This video was also recorded in Jared's shed, however, they made sure to put up tons of sheets and use lights, so you'd never know it was that room. 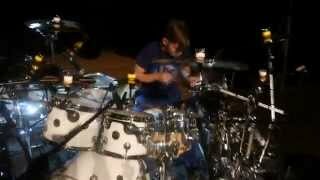 Officially, Jared Falk and Rick Kettner incorporated in 2005 after the release of the "One Handed Drum Roll" DVD. Thus, in 2005 "Railroad Media Inc." was born. 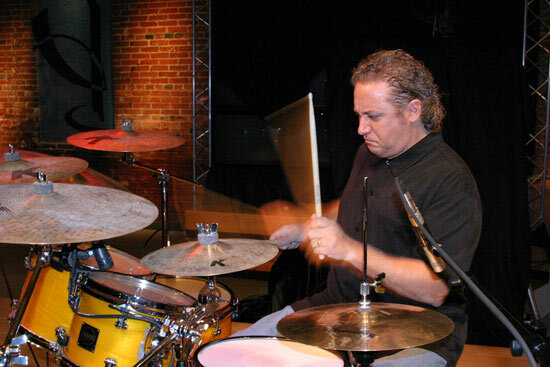 In 2006 Mike Michalkow was able to put together a masterclass for some of his students, hosted by Dom Famularo. Jared Falk was able to attend the class, since it was in Vancouver. Dom taught the motions and how to actually hit the drums. He shared some unique stuff that Jared Falk had never really thought about before. Jared recalls Dom Famularo as being extremely infectious and super fun to be around. That was another truly inspiring moment for Jared Falk. Another artist with whom Jared Falk had the pleasure to work with was Perry Springman. Jared heard about Perry through a friend, and actually watched Perry play in high school. Perry has been making music for many years now, and is one of the few unsigned artists Jared knows of that has had some huge success. Jared's first tour with Perry was a local one through Victoria, British Columbia, which also served as his audition for Perry's band � "Perry & The Poor Boys". After that Jared started playing regularly for them, and touring three to four times a year. Jared got to tour through Germany, Finland, Estonia, Hawaii, and all over the United States. It was during one of these tours that Jared Falk got to know Nate Savage. They met in 2006 when Perry invited Nate to work as guitarist for Perry's band on an upcoming Texas tour. The tour went well, and they ended up playing together for the following 4 years. 2007 was the year Dave Atkinson joined "Railroad Media Inc.". Jared got to know Dave through his teaching gig. Dave would call Jared for lessons once every six months or so. Dave Atkinson was a natural behind the drums and a self starter, so he liked to practice and learn from songs. This was also the year Jared Falk got too busy with his work at "Railroad Media Inc." to keep teaching the thirty students or so that he had at that time. In that same year "Railroad Media Inc." launched "FreeDrumLessons.com" (FDL). FDL is a web-based resource that took about a year of planning, pre-production, filming, editing, writing, and website development before its launch. Jared Falk and Rick Kettner really wanted to take their drum lessons further, and let people check their teaching methods without having to buy anything from them straight away. Jared Falk was the instructor for the rock section, Mike Michalkow for the Latin and jazz sections, Lionel Duperron for the rudiments section, and Dave Atkinson for the double bass drumming section. 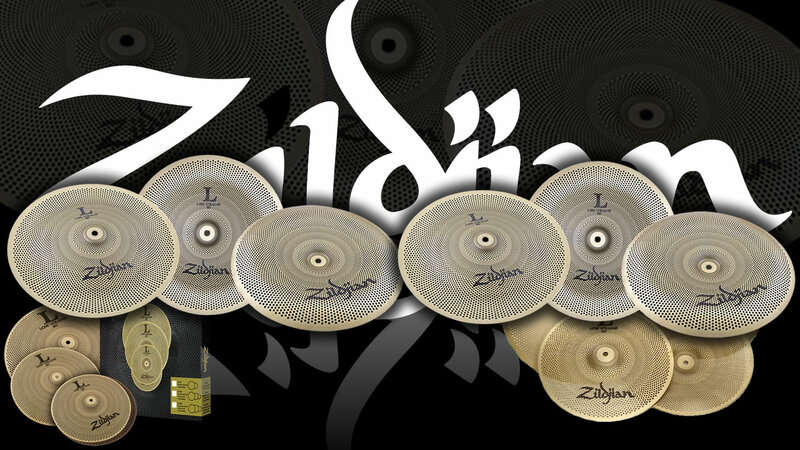 This resource was built to inform, empower, and entertain drummers of all skill levels and from all around the world. FDL was also developed with the goal of building an active drum lessons community. Jared loves hanging out with drummers, and really takes a lot of enjoyment from the community aspect of the website. In 2008 Nate Bosch was invited by "Railroad Media Inc." to head up "PianoLessons.com", a massive online resource for free piano lessons. In 2009 Nate Savage was invited to work for "Railroad Media Inc." to head up GuitarLessons.com", a massive online resource for free guitar lessons, a site in the same vein as FDL. 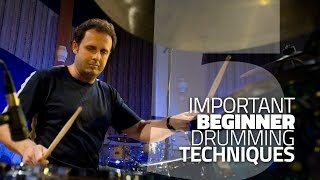 2009 saw the release of what is considered by Jared Falk as the breakthrough product for "Railroad Media Inc." � the "Drumming System", a massive educational product with 5 books, 20 DVDs, and 15 CDs. It was a massive undertaking but well worth it. Jared believes they have created something that will last forever. After selling music educational DVDs and books online for about five years, 2010 marked the year Jared and Rick's initial vision for online drum tuition would come full circle. Five years after the launch of their first DVD, the world wide web landscape had changed quite a bit. Online video quality had improved exponentially as the price for having connections with higher bandwidth decreased. As the quality of the infrastructures for selling web-based content increased, so did the interest from users. As the population became more computer savvy, the demand for online based content started increasing. This propelled "Railroad Media Inc." in new directions. It was now possible to focus on the most important aspect of having quality music education, follow-through. 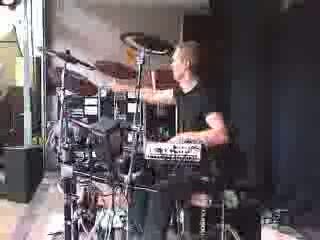 As 2009 ended, Jared Falk and Dave Atkinson started hosting weekly live drum lessons via the website "ustream.com", in a show tentatively named "FreeDrumLessons Live". Students had the opportunity to ask any question they wanted to on the spot via chat, besides having free lessons on various topics. 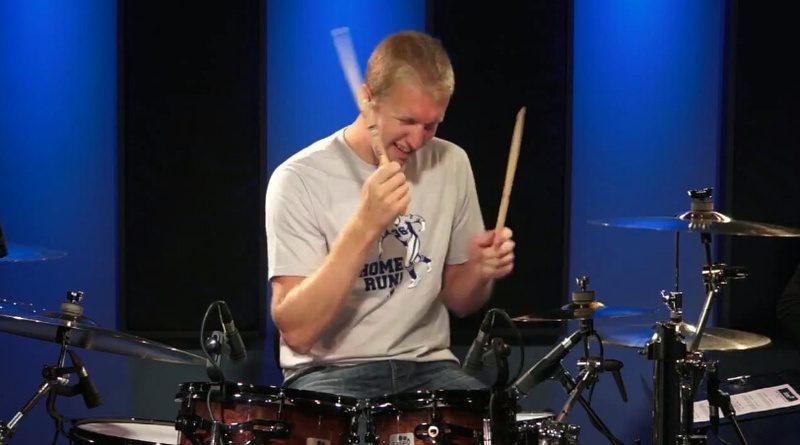 These lessons featured drum exercises, drum talk, drum covers, and drum solos. Some lessons featured special guest teachers like Tim Waterson, Mike Michalkow, Lionel Duperron, Sean Lang, and Jason Kliewer. Whether you were using the free lessons on FDL, products from "Railroad Media Inc." or from any other company, it was now possible to have your questions answered by Jared and Dave live and in colors. This way, they could not only answer the questions, but show you some exercises in real time. With the number of drum lessons one can find on the internet, it's easy to get lost in the mix. 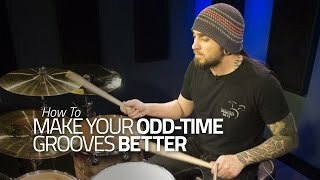 Having a service like this one can really help drummers achieve their goals quicker, much like having a personal drum teacher. It also enhances the information provided in each "Railroad Media Inc." product, since students have someone they can rely on when in doubt. The live lessons also served as a test tube for the development of an online service with better quality from "Railroad Media Inc.". 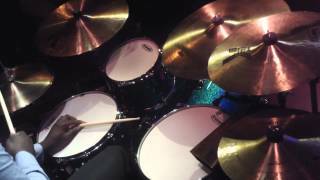 This service ended up being included in their first web-based products � the "Drumming System Online" (2010) and the "Drum Fill System Online" (2010) � for providing free weekly drum lessons to any subscriber. With all the innovation being introduced in their payed products, Jared Falk and Rick Kettner decided to use it to revolutionize the market of free online lessons. After having created a very innovative service with FDL, they decided to take a step further. Thus, they came up with "DrumLessons.com", the successor of FDL. 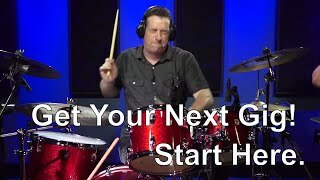 This new website features higher quality video lessons, monthly high quality live lessons, way better and complete drummers' bios, and a lot more features that are sure to take the community aspect of this website to a whole new dimension. The most astonishing thing about what Jared Falk and Rick Kettner have accomplished here is the amount of service they are able to provide free of charge to any user. Jared answers around one hundred e-mails every day, from drum students with questions about their drumming. 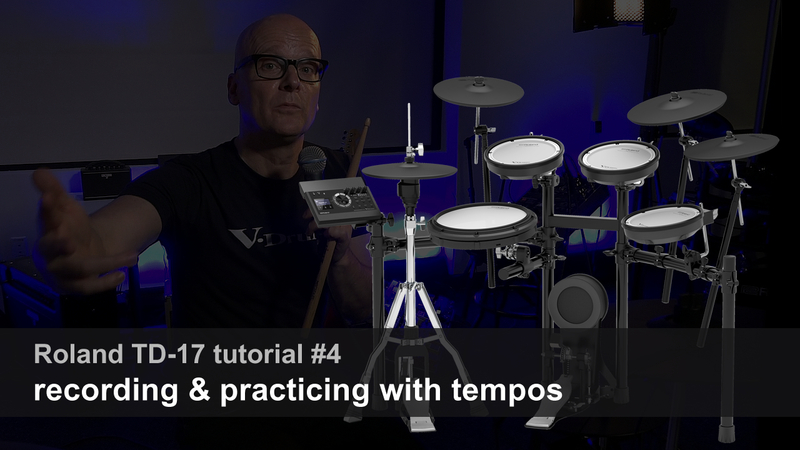 They created one of the best and biggest resources for drum lessons online. 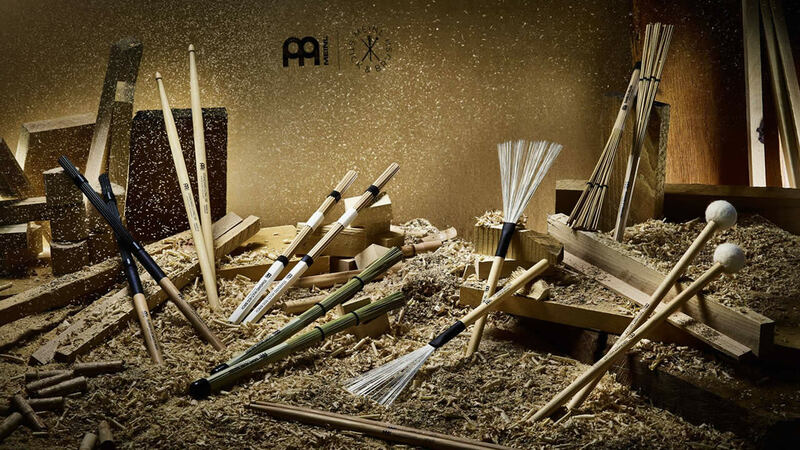 They developed a service for being able to give students the best follow-through possible, for the free lessons and for the payed products. All of this is done for free. 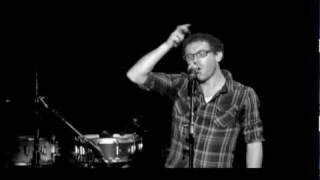 Jared Falk loves that he can teach people how to play drums all around the world, all day, every day. From filming lessons with low video quality on his shed, to becoming one of the most important men in online music education today, Jared's dream and vision has become a reality. 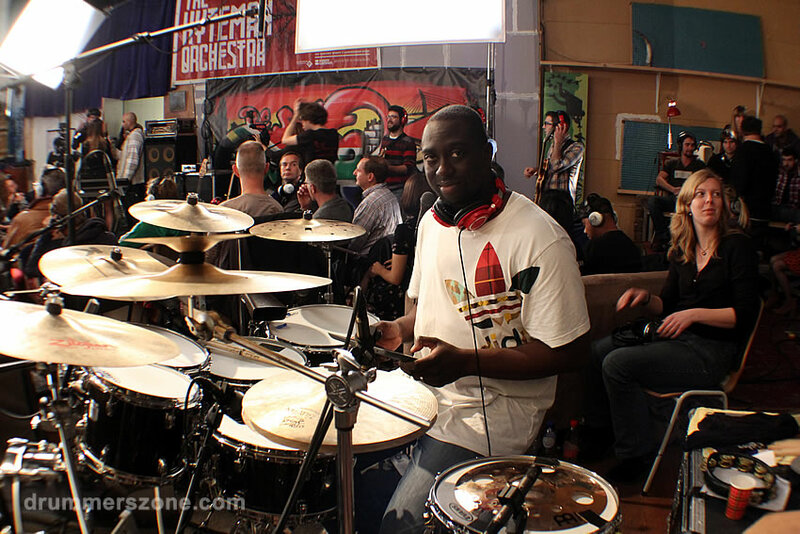 He has been helping grow the drumming community in a more positive direction, leaving no one behind. Jared Falk has worked very hard to achieve his goals. Having "Railroad Media Inc." on the forefront of music education products comes to show that when one believes in himself, and has the desire to achieve something, there's nothing that can stop him. Jared Falk's favorite bands and artists are "Our Lady Peace", "Dave Matthews Band", "U2?, John Mayer, "Audioslave", "Rage Against The Machine", "Collective Soul", and "Incubus", among many others. 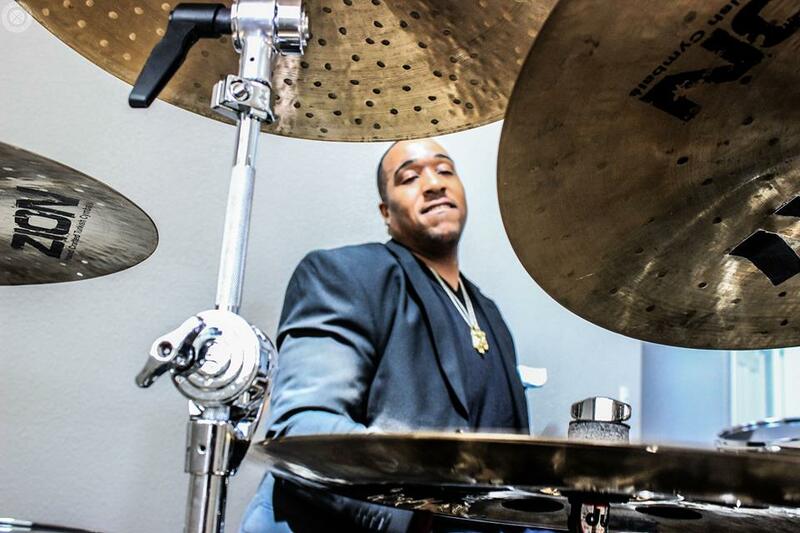 As for drummers, Jared is really into Dave Weckl, Thomas Lang, Keith Carlock, Aaron Spears, and Tony Royster Jr., just to name a few. 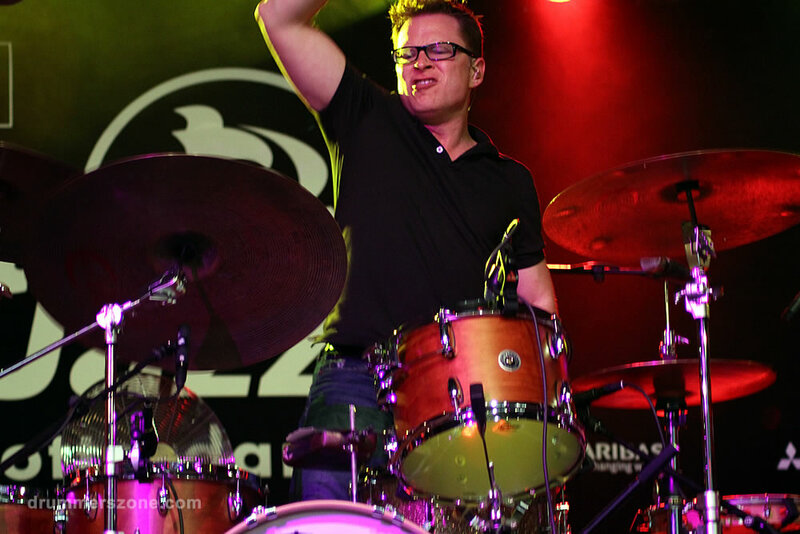 Jared Falk recorded two albums with "The Doxa Band". The first one was actually his first performance to be registered on an album. It's called "All For You" and it's a live album from a "Doxa Band" show that took place in May of 1999. The second album � Flying Free � was recorded in a studio in January of 2001. After those recordings, Jared Falk did a bunch more spot work, played on a few full length albums, and on a lot of EPs and demos. Most of the music he has recorded is straight ahead rock. 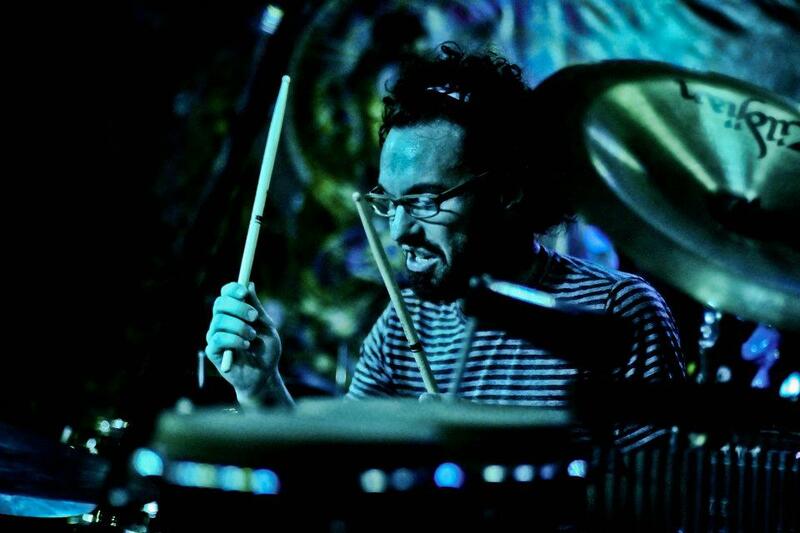 You can check Jared's drumming on Riley Armstrong's album "Whatever the Weather" (2002), in the EP "It Starts Now" from Canadian songwriter Ren� Thomas (2007), in the album "Quench" from "Blue Rain" (2008), in the album "Half Way Around" from "Perry & The Poor Boys" (2009), and on "The Wiebes" album "Restore the Wonder" (2010). He has also recorded a full length album with a band he was a part of called "Modesto", and the album "Poler's Recess" for the Canadian band "Poler Bear". Jared states that session work is definitely his favorite. Another project Jared Falk played for was called "Aida", with his sister Jenn on vocals and piano, and his brother James on bass guitar. The band only went for around 2 to 3 years, but was still able to win a couple of "battle of the bands" competitions, and release a full length album called "Pirates and Gypsies" (2007). Since its inception in 2005, "Railroad Media Inc." has launched over 20 instructional products. 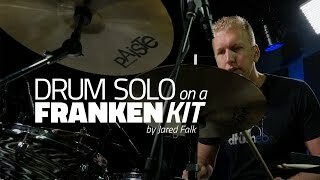 Jared Falk has worked as an instructor on the "One Handed Drum Roll" DVD (2005), "Jazz Drumming" DVD (2006) , "Bass Drum Secrets" DVD (2006), and as a host and producer on the "Rock Drumming System" 5 disc set (2006), "FreeDrumLessons.com" (2007), and on "DrumLessons.com" (2010/ 2011). Most of the work developed by Jared with Railroad Media Inc. has been as a producer. 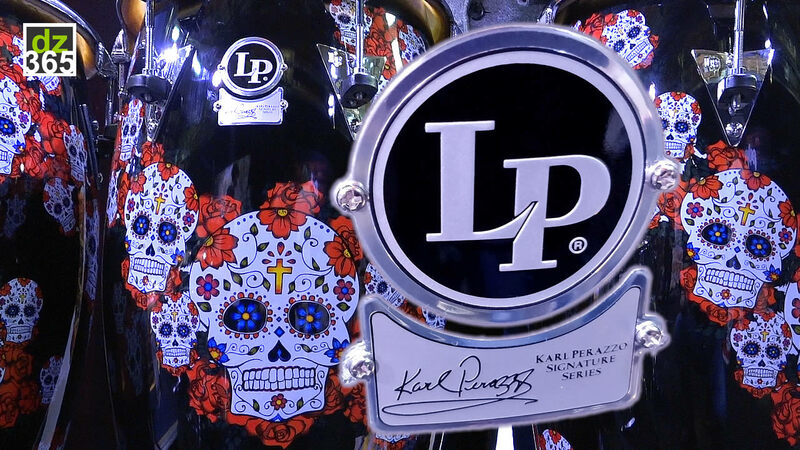 Jared has produced instructional products for bass guitar, piano, guitar, and drum set. For bass guitar he has produced "Bass Hand Technique" DVD (2006), "Bass Tapping" DVD (2006), and "Bass Slapping" DVD (2006), all hosted by Jeff Warren. For piano and guitar he has produced the "Piano System" 8 disc set (2008) featuring Nate Bosch, the "Beginner Guitar System" 6 disc set (2010) and "Blues Guitar Blueprint" 6 disc set (2010) featuring Nate Savage. 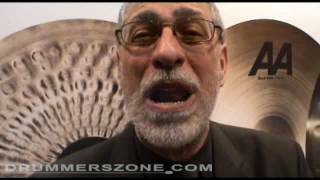 As for drum set instructional products, "Railroad Media Inc." has worked primarily with Lionel Duperron and Mike Michalkow. 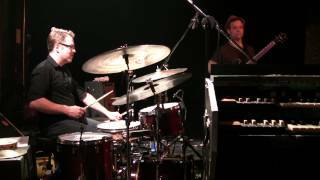 With Mike Michalkow as host Jared Falk has produced the "Moeller Method Secrets" 2 disc set (2006), the "Latin Drumming System" 4 disc set (2007), the "Jazz Drumming System" 4 disc set (2007), the "Drum Tuning System" 2 disc set (2008), and the "Drumming System" 35 disc set (2009). 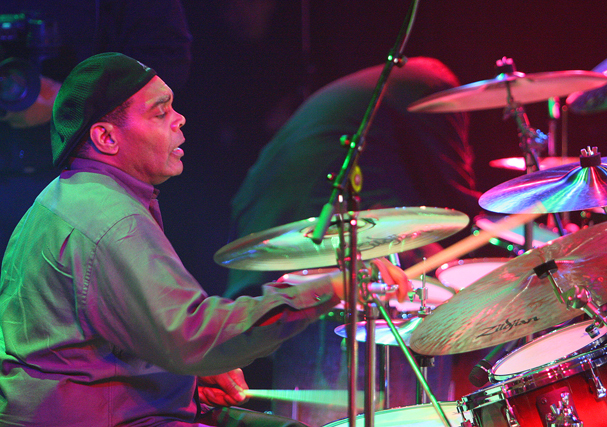 With Lionel Duperron as host Jared has produced the "Drum Rudiment System" 6 disc set (2008), and the "Drum Fill System" 14 disc set (2010). 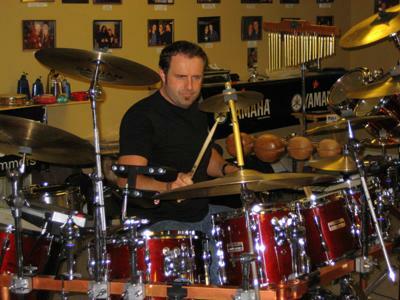 Jared Falk has produced educational products featuring various instructors, like the "Drum Gear Buyers Guide" DVD (2008) and the "Drum Play-Along System" 6 disc set (2008). I love to play drums, teach drums, and hang out with drummers.